The professional court reporter has long been an indispensable fixture in modern courtrooms, but some have raised concerns that court reporters in San Jose and across the country may soon be replaced by high-tech voice recognition software. Voice recognition software does have its uses. Workers with carpal tunnel syndrome, for example, can use it to help fulfill their computer-related work tasks. But for such a sensitive field as the legal profession, it is highly unlikely that technology will ever be able to replace court reporters. It’s no secret that court reporters are responsible for producing unfailingly accurate transcripts shortly after the court proceeding, but they also serve an important function during a hearing or trial. Court reporters almost instantaneously produce real-time feeds, which are accessible to court clerks, law clerks, judges, jurors, media members, and all other parties. If wireless technology is available in a courtroom, then these real-time feeds are easily and securely deliverable to these parties, allowing any authorized individual to instantly check the record. 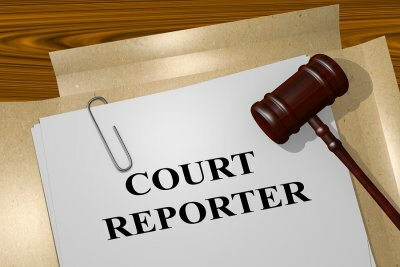 This aspect of court reporting is especially important for individuals who have hearing loss. As sophisticated as voice recognition software has become in recent years, it simply can’t mimic the accuracy and reliability of a professional court reporter. Court records that are accurate beyond question are essential for ensuring a fair and impartial appellate review for all parties. Voice recognition software may excel when one person is speaking clearly and evenly into a microphone, but it fails at discriminating among multiple speakers and it may run into trouble with the typical background noise of a courtroom, such as papers being shuffled, throats being cleared, and parties whispering to each other. A court reporter is fully capable of discriminating between voices, understanding heavily accented voices, and discerning the difference between background noise and speakers. Additionally, a court reporter won’t inadvertently include off-the-record conversations in the official transcript-a mistake that could prove disastrous to a party to a legal proceeding. When hosting a video conference in the Bay Area, it’s essential to maintain a professional look throughout the event. 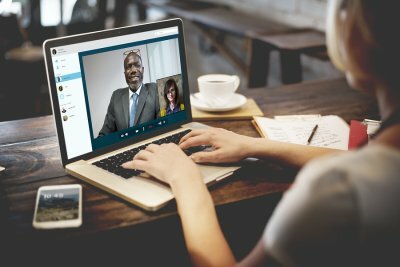 Many people who are hosting a video conference for the first time make the mistake of treating it like an informal event. In fact, it’s best to pretend that everyone is in the same room and can see what all of the other attendees are doing at any given time. It’s particularly important to look and act professionally when you’re conducting a video conference deposition. If you’re putting together a remote deposition, then renting a conference room is a must. However, a conference room rental also makes sense in the corporate world. When you rent a conference room, you won’t have to worry about setting up the audiovisual equipment or testing it. Additionally, the cameras won’t capture unprofessional or unflattering backdrops that can ruin the tone of your video conference. For remote attendees, it’s a common assumption that it’s acceptable to dress professionally only from the waist up. In fact, video conference attendees should know that there is a possibility they will need to stand up at some point. Wearing jogging shorts with a dress shirt and tie is not a flattering or professional look. For all attendees and the host of the conference, it’s best to wear solid, dark colors instead of brightly patterned clothing or white clothing. Ladies ought to minimize jewelry and makeup, although adding some light blush can help prevent the face from looking washed out. Lighting is a commonly overlooked component of setting a professional tone for your video conference. Use natural lighting whenever possible. However, avoid sitting directly in front of a window or other light source. The most flattering lighting angles are directed toward your front. 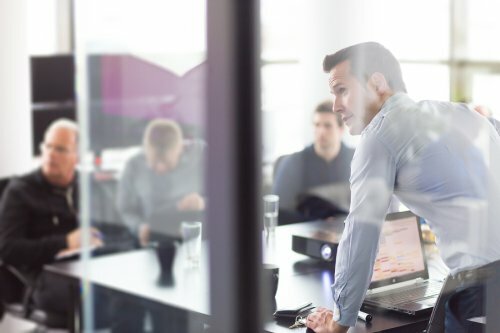 When you rent a conference room, you can rest assured that the equipment will be fully functioning and optimized for your needs, but it never hurts to check the camera angles. Ideally, you should be looking into a camera that is at about the level of your eyes. If you need to adjust your chair, do so before the conference begins.